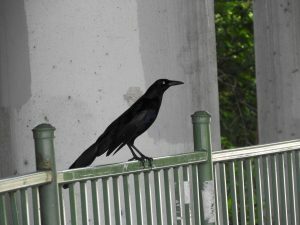 I have grackles making a mess on my deck and yard. They used to nest on my house but I knocked them down. Now they come to the yard and perch in trees and some get on my decks leaving a mess everywhere. And did I mention they’re really loud too? Squawking and screeching and scaring everyone when they come. One day they can be gone and then nothing for a week or two but then they come back. It usually happens when I’m not home and by the time I do arrive, its already too late to stop the mess. Will your sound repeller keep them away? Our SOUND REPELLER would be a good choice to keep them off the house and out of the yard. 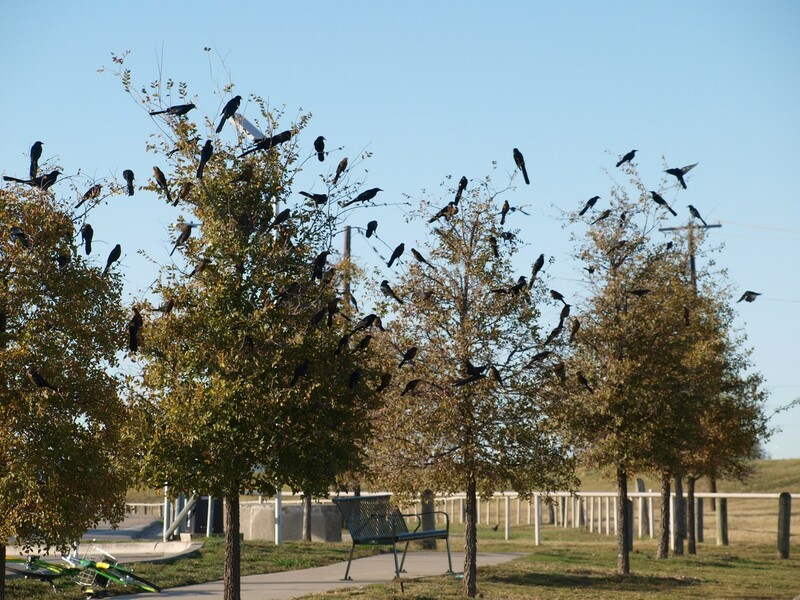 By default, it sends out ultra sound which grackles do not like. So if you can place units pointed at the house and at the trees, birds will stay away. Place units on the ground positioned to direct the sound where the birds are most active. Remember, ultra sound is very much directional which means it will only go where you direct the units. Kind of like a flashlight; the coverage of the sound gets wider and wider as it moves out over the terrain. But it will get weak once its out there 100 feet or more so don’t expect one unit to protect the home and the trees; you will probably need at least two. Also, our Mounting Block is well suited for getting units properly positioned as they will keep the sound directed upwards at a 45 degree angle. For the yard/trees, you can set units in the yard and point them where the birds typically perch. Again, keeping the unit running all the time will project a sound strong enough to chase them for 75-100 feet. But if the yard is large and you don’t want to run a power cord all the way out in the yard, you can rely on batteries to keep turn them on. Each unit comes with an AC plug-in power supply but they can also be powered by 4 “C” cell batteries. Their effective range is about 5,000 sq/ft so plan on using 2 units for every 1/4 acre. Units have several features making them adaptable to our needs. One of these features is the option to keep them on during the day only, the night only or 24 hours a day. There is also an audible sound you can dial “up” so it will help by sending out a loud sound. Audible sound is only suggested when relying on batteries and the motion detector. If you are able to run units by the included power supply, you would not want to keep the audible sound on all the time as it can be quite loud. 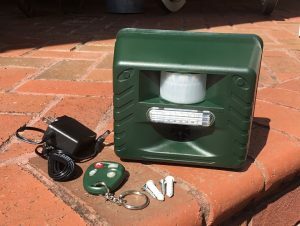 Other features of the repeller is that each unit has a “light bar” on the front panel which flashes during the night when the unit is activated. During the day, the light will not go off. There is also a remote control wireless key you can use to turn the unit off/on as needed. This is especially handy if you want to go out in the yard and don’t want the units on when you’re in their protected range. 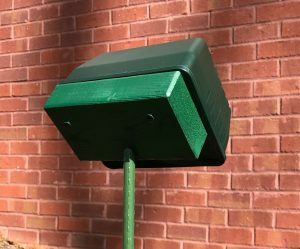 Remember, using a mounting block will let you set the unit off the ground and direct the sound where needed since it provides the 45 degree angle best suited for this application. 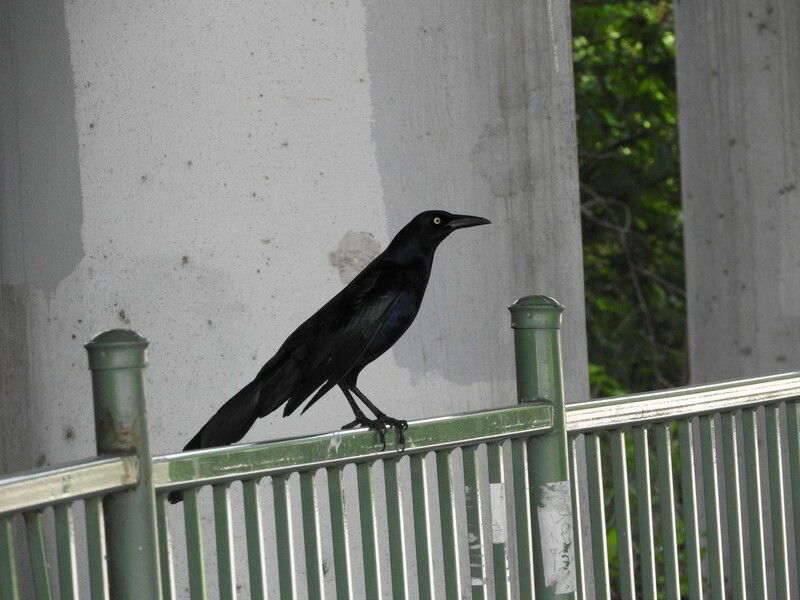 The height off the ground is not important but in general, 1-2 feet high is fine for grackles.